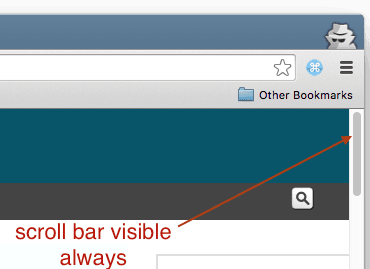 Mac by default show scroll bars automatically based on mouse pointer. This setting can be changed to always show scroll bars. Note that this settings impacts scroll bars appearing in Mac windows (Chrome, Preview, etc.) and even scroll bars in html pages (DOM elements like div, textarea, etc.). 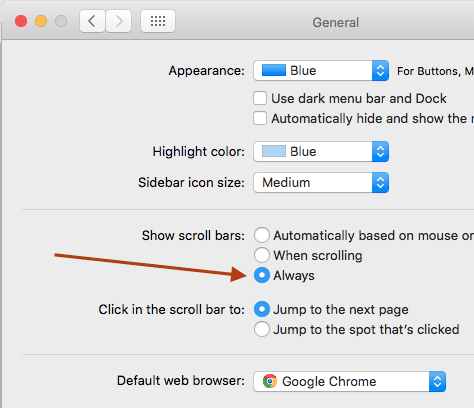 These are the steps to change Mac settings to always show scroll bars. Open system preferences and click on General settings.